The conflict may have ended in the Ivory Coast, but building a lasting peace is now the struggle. This emphasis is on the rehabilitation of children so they do not suffer from hunger, malnutrition and disease. It also means giving them a chance to go to school. 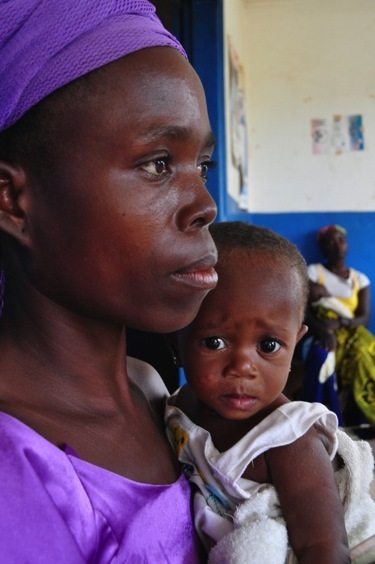 Save the Children’s work in the Ivory Coast involves reducing the danger of malnutrition among infants. They are using a special food called Plumpy’nut, which was just featured on NBC Nightly News. Save the Children’s Plumpy program has just gotten underway in the West African nation. Sophie Bruneau of Save the Children says there are “182 severe acute malnourished children in Outpatient Therapeutic Care in treatment under Plumpy’nut.” In addition, there are another 255 children receiving Supplementary Plumpy which is used to treat less severe cases of malnutrition. The key now is to make sure Save the Children has enough Plumpy supplies to treat cases of child malnutrition. This is essential because during the reconstruction from the conflict, it will be very easy for children to fall into malnutrition. Families are going to be struggling without access to basic services. Rebuilding from conflict does not happen overnight and for communities already in poverty, there is not much to fall back on. For school age children the key is getting them fed and back to class. School meals programs, when given enough support, accomplish this. The United Nations World Food Programme (WFP) “plans to feed 568,000 school children in 3,320 primary schools” beginning in November. WFP relies on voluntary donations from the international community. They have enough funds to get Ivory Coast school meals programs started again. WFP has not run the program since October 2010, right before the conflict began after disputed elections. But will there be enough support to sustain the school feeding? Will there be enough support to help Ivory Coast eventually have its own national school lunch program? As the U.S. and other governments make their foreign policy amid budget crunches, will food aid for Ivory Coast and other countries get left out? Article first published as Giving Children a Chance in Post-Conflict Ivory Coast on Blogcritics. Twitter and Facebook are everywhere! But can these powerful social media tools help defeat man’s ancient enemy– hunger? Can they support relief operations for famine and drought-ravaged East Africa? Jen Hardy of the charity Catholic Relief Services recently took time to discuss Twitter, Facebook and fighting global hunger. Can someone use Twitter to mobilize support for famine relief in East Africa and other areas suffering from hunger? Absolutely! Twitter is a great way for people who share common interests to share information. It’s also a wonderful resource for searches about a particular topic. I suggest doing a few searches on Twitter to find out what people are saying about the drought and food security in East Africa. That way, your advocacy messages will be informed by the conversation that’s already happening. Go to the Twitter homepage (even if you don’t have an account!) and try searching a few of these terms: drought, famine, East Africa, the name of a specific country (like Kenya or Somalia), and Horn of Africa. Are there ways to make tweets about global hunger stand out? Tweets with a link for more detailed information are great. You can share the most interesting tidbit in the text of the tweet, and then add a shortened url that provides further context. It’s also a good practice to use hashtags when crafting a tweet about a specific topic, such as hunger. A hashtag is simply the “#” sign in front of a search term. On the Twitter platform, using a hashtag creates a clickable link to search for other posts with that same hashtag. It’s also a way to sort information quickly at an event, such as during a local fundraiser for famine relief. Don’t litter each tweet with multiple hashtags. Two or three is plenty. Do use What the Trend or another site devoted to explaining hashtags if you’re not sure what something means and to find the best hashtag for a specific topic. Can Facebook also be used for helping to feed the hungry? Not only can Facebook help fight global hunger, I think it’s vital for raising awareness of the issue and sharing ways to get involved. A crisis that’s half a world away and slow moving, like the drought in East Africa, is so much more real when we feel a personal connection to the people living through it. Media coverage and advocacy by organizations are just parts of the puzzle in getting people to care. A few of my friends, for example, posted about how sad the pictures coming out of East Africa were, but they didn’t actually make a donation to hunger relief until I reached out through a personal message with a list of several of the most efficient organizations working in East Africa. That personal contact helped them take the final step from empathy to action. There are so many ways to get involved in hunger relief on Facebook. “Like” a few organizations working in East Africa to get updates right to your Facebook feed. Recruit your friends to “Like” those organizations. Donate to an organization you trust through Facebook Causes. And share your own links to useful information as the East Africa crisis continues. 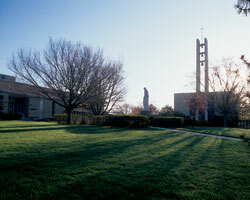 Catholic Relief Services has a good collection of resources if you need a starting point. Can sites like Blogger, WordPress and others be used to help hunger relief missions overseas? Any blogging platform can be a wonderful way to share both the need in East Africa and resources for how to get involved. Blogs are a public way to share personal commitment to a cause like hunger relief, and most bloggers are savvy with search engine optimization. Many organizations working in East Africa either have a downloadable button for bloggers or can provide one on request. Blogs are also good platforms for discussing the politics of food aid and budget cuts. Calls to political action should include a link to find elected officials’ contact information . There’s also a robust community of international aid and development bloggers who offer suggestions and critiques for how development can work better. What are some other social media sites that can be used to help end hunger worldwide? Social media facilitates connections between people, so any social media platform can build on existing relationships to help others. YouTube is perfect for those supporters who react to a more visual medium and it integrates well with Facebook in terms of sharing videos. If you’re an early adopter on Google+, search “Sparks” for drought and hunger topics. Post photos of a local awareness event on Instagram, Picasa or Flickr. If you sell your art or handicrafts on Etsy, donate a percentage of your sales to hunger relief, and link to your preferred organization. There are too many possibilities to list, and I’m sure there are many more that haven’t occurred to aid organizations yet (please add your ideas to the comments!). 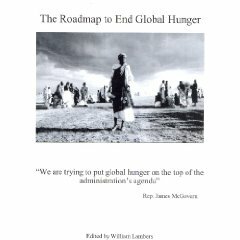 Congress is proposing cuts to international food aid in the budget. Can Facebook, Twitter and other sites be used to get Congress to support international food aid programs? Gritty details about the inner-workings of Congress make most people’s eyes glaze over. If you’re going to share anything about an upcoming vote or appropriation process, break it down for your friends and followers. Explain exactly what’s happening in simple terms, provide a clear ask for how they can get involved, and then provide instructions for next steps. If you want a shortcut to this whole process, sign up for the Catholic Relief Services/USCCB joint effort Catholics Confront Global Poverty . The CCGP action alerts break everything down into plain language and clear instructions (plus, we won’t bombard your inbox!). Twitter is especially useful for contacting representatives. If your representative uses Twitter, send him or her @replies (beginning a tweet with someone’s Twitter handle directs a public message to their attention). It’s a nice way to break through the clutter of emails and phone calls, and the staffer assigned to the account will bring highlights back to the representative. How can someone contact Catholic Relief Services with questions? Besides our normal contact information , find us on Facebook , Twitter , LinkedIn and YouTube . Our Twitter feed for journalists is @CRSNews . And if you have any ideas for using social media to fight hunger, find me on Twitter ( @JenHardy ). Article first published as Twitter, Facebook and Fighting Global Hunger on Blogcritics. Four months have passed since the conflict in the Ivory Coast came to an end following a disputed election. But the wounds run very deep in the West African nation. There were thousands displaced by the fighting between supporters of President Alassane Ouattara and those of ex-President Laurent Gbagbo. Many of the refugees fear returning home. The conflict caused a loss of livelihoods, shelter, medical care and other basic services. The Ivory Coast needs peace and reconciliation, as well as unity against the hunger and disease still attacking the population. Annie Bodmer-Roy of Save the Children recently talked about how the charity is taking action to help Ivory Coast recover from the violence. What kinds of programs is Save the Children running in the Ivory Coast? The conflict that hit the Ivory Coast following disputed elections in November 2010 had a huge impact on the population. As in conflict around the world, children have been hit the hardest. Pre-existing high levels of poverty even before the conflict – 49% of the population was living under the poverty line – were suddenly combined with large-scale loss of income as hundreds of thousands of families were forced to flee their homes for safety. This has meant that thousands of parents no longer have enough money to ensure enough food for their children. Widespread violence and looting also limited families’ access to health care and children’s access to schools as health workers and teachers fled the areas of fighting, hospitals were looted, and schools used as temporary camps for those families who had fled their homes. In response to the increased needs of children and their families, Save the Children launched a large-scale emergency program, appealing for funds to help meet the immediate needs of children affected by the conflict. We’re currently operating across eight offices and are running seven different programs, including health; nutrition; food security and livelihoods; education; child protection; shelter; and water, sanitation and hygiene. We’re also running a civil society initiative where we provide small cash grants to local NGOs and community-based organisations for them to implement projects in their communities, enabling a local response to needs identified within the community as being the most pressing for families. As so many families lost their means to an income, one initiative Save the Children has started running is a cash transfer programme, where the families most affected by the conflict are identified by our staff, and are provided with ID cards that allow them to take out money at specific banks we’ve partnered with throughout the country. In this way, families who have been displaced, families on their way back home, or those who have already returned, can access this cash when they are on the move and once they arrive, providing a buffer that will help them get through the day-to-day as they start building back their lives. The cash provided will enable families to buy food at local markets, ensuring their children will begin getting the nutritious food they need, while at the same time improving livelihoods for local farmers and vendors. So far we’ve helped close to 2,000 families through this project – and we’re scaling up in the coming weeks to provide this assistance to an additional 8,000 families. What is the level of malnutrition among the children? Even before the conflict, already one in three children under five years old in CÃ´te d’Ivoire was suffering from chronic malnutrition. One in five children under five was considered underweight. With the outbreak of conflict and massive population movement, it has been difficult to gather accurate and up-to-date information on malnutrition rates; however Save the Children and other agencies working on malnutrition have observed worrying signs of increases in malnutrition, including some areas where severe acute malnutrition has increased in a matter of weeks. Save the Children has recently started up malnutrition screening and treatment for children under five in western Ivory Coast, where some of the worst of the fighting and looting took place during the conflict. Are there any basic health services available to children? One of the immediate results of the conflict was the breakdown in health services as hospitals and health centres closed in many areas due to the fighting, with health workers fleeing the areas hit by violence and the centres and hospitals themselves being looted and pillaged. Medicines and medical equipment were stolen, which meant that even once health workers began returning and hospitals began to re-open, patients were unable to receive the treatment they needed. Another major concern has been health user fees – because so many families lost their means to an income, they could no longer afford medical care and treatment. As a result of advocacy by aid agencies like Save the Children however, the Ivorian government agreed to drop health user fees, passing a decree enabling families to access free health care throughout the country. Today, health centres are largely open and running with the support of agencies like Save the Children, who ensure regular provision of medical supplies and essential medicines, as well as support in rehabilitating infrastructures destroyed during the conflict. For areas where there are no functioning health centres or hospitals running, Save the Children and other agencies have been running mobile outreach clinics, travelling to remote villages and towns to ensure that the health needs of children and their families’ are being addressed and proper care and treatment is provided. What has been the psychological impact of the conflict? Children have been exposed to enormous levels of violence and many have been separated from their families when they had to flee their homes. Save the Children’s teams have spoken to children who have fled violence in the west of the country who have seen their houses burnt down and family members killed. Even today, four months after the end of the fighting and over eight months since the elections, our teams are identifying children who had to leave relatives behind when they fled – and still do not know whether their family members are alive or dead. Some of the older children have lived through the 2002 conflict and have now been exposed to heavy violence in their lives for a second time – while it is clear that this has an immediate and profound impact on children, Save the Children is also concerned about the longer term psychological impact on children. In the past weeks, our teams have spoken to children who consider the war to still be going on – despite the end of fighting and the resolution of the political crisis. We’ve also been to villages in the West where children no longer play in the same areas they used to go play in, as they no longer feel safe there. Save the Children is running regular play activities for children in Abidjan and in the West, areas hardest hit by the conflict. Through the spaces set up for these activities, Save the Children is providing an opportunity for children to play together in a safe area, getting a chance to be children again and regain a sense of normalcy to help them recover from the difficulties they’ve faced in the past months. The spaces also give children the chance to speak to an adult they can trust, trained by Save the Children to help children talk through their problems and ensure children have someone who will listen. How can someone help Save the Children in the Ivory Coast? Although the political crisis sparked by last year’s elections has now been resolved, immediate needs remain for hundreds of thousands of people, many of whom are still displaced from their homes even today. Save the Children is running an emergency response in the Ivory Coast to make sure that children are able to access enough nutritious food to stay healthy and strong; medical care and treatment; and clean drinking water. We’re also working closely with other agencies and the government so that children are well-protected against violence, abuse and exploitation, also making sure that children can get back into school. As families begin to return home, we are looking at transitioning some of our programmes into longer-term work to ensure that even once the immediate crisis has passed, children and their families are not forgotten, and continue to receive the assistance they need to build their lives back. Someone who wanted to help Save the Children in the Ivory Coast can keep up to date on what we’re doing by signing up to Save the Children’s email updates, sent out regularly to supporters, providing information on what we’re doing on the ground. You can also check out our webpage on the Ivory Coast at our website and spread the word among your friends and family about what we’re doing to help children recover from the conflict. You can also donate here to help us continue our work and make sure we have the funding we need to continue to meet the needs of children and their families in the Ivory Coast. Article first published as Post-Conflict Ivory Coast: An Interview with Annie Bodmer-Roy of Save the Children on Blogcritics.